Professor at Harvard Business School, Architect of and world's leading authority on disruptive innovation, Keynote Business Speaker Clayton M. Christenson is Harvard Business School’s Kim B. Clark Professor of Business Administration and is widely considered to be one of top experts on innovation and growth in the world. Christensen earned a B.A. in economics from Brigham Young University in 1975, and a M.Phil. in applied econometrics from Oxford University in 1977, where he studied as a Rhodes Scholar. In 1979 he received an MBA from the Harvard Business School, graduating with distinction as a George D. Baker Scholar. Born in Salt Lake City, Utah, Christensen worked as a missionary for the Church of Jesus Christ of Latter-Day Saints from 1971-1973 in the Republic of Korea. He was also heavily involved in the Boy Scouts of America, working for 25 years as a cubmaster, scoutmaster, den leader and troop and pack committee chairman. He currently resides in Belmont, MA with his wife Christine. They have five children and five grandchildren. Disruptive Innovation: Changing the Way the World Learns - Clayton Christensen believes teaching methods don’t always best suit the way we learn. His solution is to reanalyze the education debate applying his famous theory of “disruptive innovation” to help audiences consider new educational possibilities. Audiences will learn how customized learning can benefit schools, and why these new student focused classes drive the demand for new technologies—focusing on how disruptive innovation can help educators bypass roadblocks that prevent reform attempts. 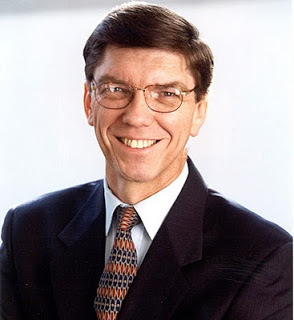 Destructing the World Health Care Industry - Clayton Christensen addresses what it will take to cure health care challenges domestically and around the world, utilizing his theory of Disruptive Innovation. His speeches are customized to your organization, and are based on the idea that companies innovate faster than people’s lives change. Innovator’s Dilemma Expanded: Seven Questions and Answers to Success - Historically, when it comes to managing innovation, managers have struggled. With research based on his book, The Innovator’s Dilemma, Clayton Christensen provides a set of theories to assist managers trying to develop new growth business. He coaches managers on strategies to sustain success, based on seven guide questions. "Christensen offers practical diagnostic tools, remedies and poignant examples for achieving success whether you are attacking or defending."